In Texas, a new model for high-speed rail is hurtling forward. If successful, it could mark a turning point for the development of public transportation around the country. 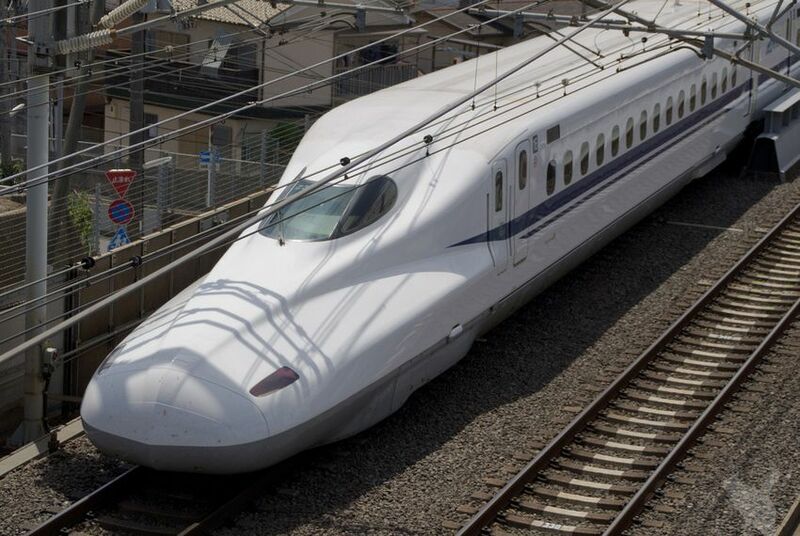 For years, the Japanese company behind the world’s first and busiest high-speed rail system has been itching to enter the U.S. high-speed rail market, hoping to sell one of the world’s ripest passenger rail markets on its breathtakingly fast Shinkansen bullet trains. But with Central Japan Railway’s efforts to sell high-speed trains on the U.S. coasts going nowhere, Texas has emerged as the company’s best hope for introducing its wildly successful technology to the American market. It also may turn out to be a transformative event in the history of the nation’s transportation system. Barack Obama unveiled his vision for a national network of high-speed passenger rail lines three months after being sworn in as president in 2009. But the administration’s hopes of offering billions of dollars in funding over several years never panned out, largely due to Republican pushback against investing so much federal money in the projects. Meanwhile, every day in Japan the six high-speed rail lines that make up the Shinkansen system shuttle nearly 400,000 people along nearly 1,500 miles of track. The oldest and most popular line runs the 300 miles between Tokyo and Osaka, cities in the country’s two most populous metropolitan regions. It’s a 90-minute ride — just long enough for riders visiting from abroad to feel as if they have stepped into some kind of futuristic movie. Since launching in 1964, the system has not recorded a single fatality. Central Japan Railway Co., also known as J.R. Central, sees a huge opportunity for exporting its technology to America, where the busiest passenger rail line takes about seven hours to slog the 400 miles between Washington and Boston. Today, there are only three significant high-speed rail projects in advanced development in the U.S. — in Texas, Florida and California. At some point during the early planning of all three ventures, J.R. Central offered to sell its trains to those states but only found sure footing in Texas. The Texas project, led by a private local company working with J.R. Central, is by far the most ambitious. Texas Central High-Speed Railway is promising to connect Houston and Dallas with the fastest trains at 205 mph, developed on a relatively snappy timeline with little support from taxpayers. By contrast, the California train will be heavily subsidized and take years longer to develop. Texas Central Railway has set a 2021 target date for beginning operations while the California line isn’t expected to connect Los Angeles to San Francisco until 2029. In Florida, a privately funded project could begin service between Miami and West Palm Beach as early as 2016 but is projected to be the slowest of the three, traveling at less than 100 mph through some areas, and run on a congested century-old right-of-way, including a portion that will run on a converted freight line. At first blush, Texas may not seem like the ideal place in the U.S. to debut high-speed rail. The state’s urban centers have a history of low public transportation use, despite expanding light-rail networks in its largest cities. And they are very car-oriented, without any significant intercity rail traffic. But all those cars indicate a whole lot of people, too: The Houston and Dallas-Fort Worth metropolitan areas were among the fastest-growing in population nationally last year, coming in first and third, respectively. Just as important, those very large populations interact with one another on a regular basis; the air routes between the two metro regions are among the busiest in the U.S. The land between the two cities is also largely flat and unpopulated, making real estate acquisition a cheaper prospect than it would be in other major metropolitan regions. Even the distance between the two cities — about 230 miles — is considered an ideal length to take advantage of bullet train technology, company officials say. “It was the most innately financeable corridor,” said Robert Eckels, president of the Texas Central Railway. Texas Central, formerly Lone Star High-Speed Rail, was created in 2010 to develop a platform for J.R. Central’s technology in America. Texas Central officials say J.R. Central is not financing the Texas project, but is a “promotional and technical partner.” If the project moves forward, J.R. Central would sell its trains to the company and play some advisory role on the system’s operations, but the extent of its intended involvement is unclear. Texas Central officials have said the project will be privately funded and not require any public funding to subsidize its operational costs. 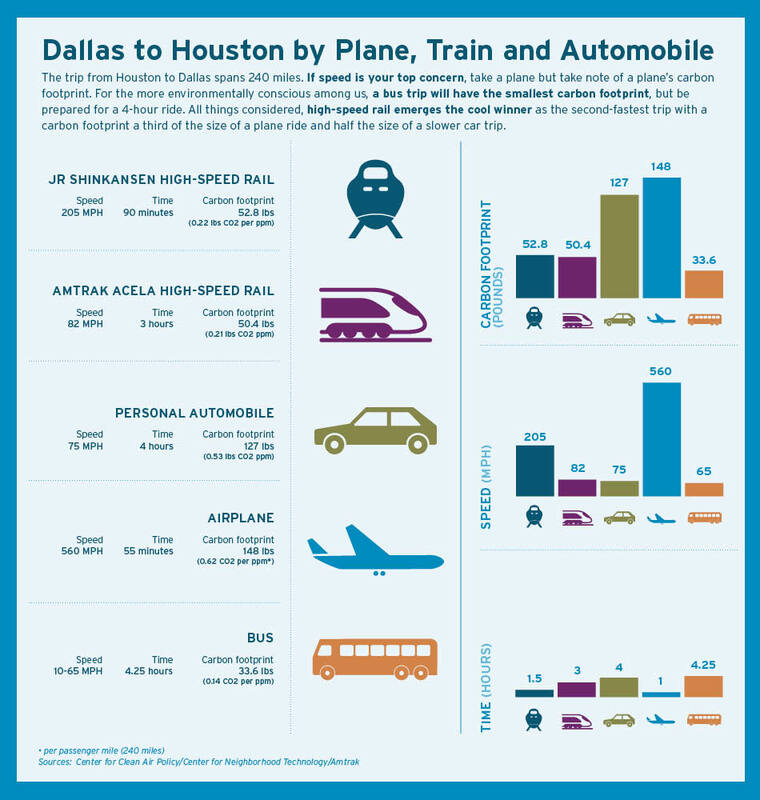 If the private financing can be secured, the Houston-Dallas connection would be the fastest high-speed rail line in the nation and among the first successful private passenger rail projects in recent American history. 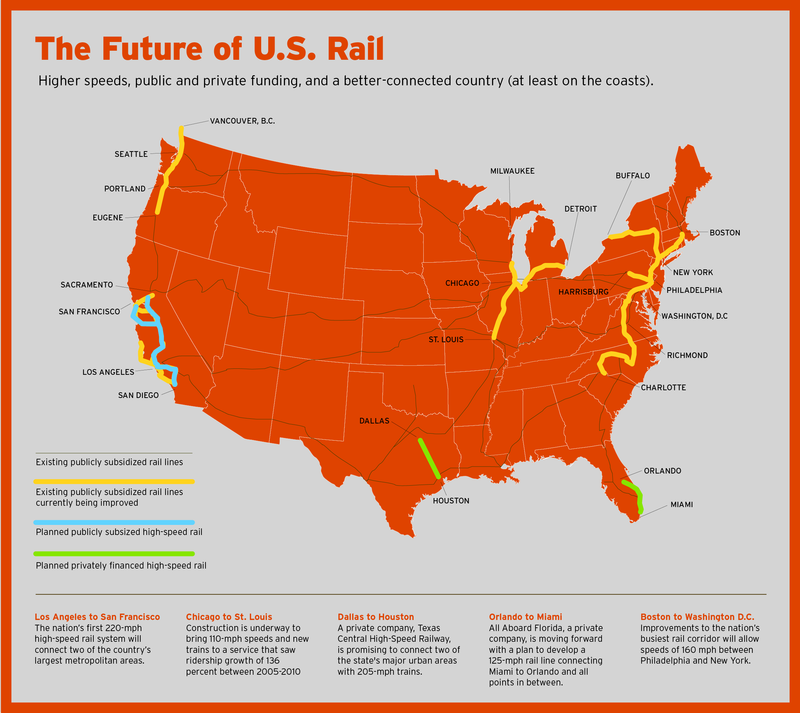 It would essentially be the modern Sun Belt’s first new intercity passenger rail line of any sort in over a decade. If successful, it could mark a turning point in the urbanization of the U.S., and a high-profile rebuff to more progressive coastal cities that have struggled to modernize transit systems with the high-speed technology that has already reshaped Asia and Europe. The Texas project would also be a huge feather in J.R. Central’s conductor’s cap. The company is about to start construction in Japan on a nearly unsubsidized cutting-edge maglev — short for magnetic levitation — train line, connecting three major metropolitan areas and powered by electromagnetic propulsion rather than a fossil-fuel-powered engine or the electricity that powers other Shinkansen lines, including the proposed Texas Central Railway. Yet much more expansion is unlikely in Japan, where low population growth means less demand for new infrastructure. To keep growing, the company must look abroad. As the Texas proposal has drawn more attention, supporters are framing it as a key opportunity for the state to burnish a reputation as a trendsetter on the national stage. Over the last year, officials with Texas Central have traveled around the state, touting their plan to profitably ferry passengers from Houston to Dallas in 90 minutes or less, with as many as 34 trips a day in each direction. In explaining their confidence that the plan will become reality, Texas Central officials have pointed to the state’s regulatory framework, which Gov. Rick Perry often proclaims as more predictable and less burdensome than those in other states. Texas also has a history of embracing the private sector for infrastructure projects, particularly toll roads. The best-known of those projects, a privately financed, 41-mile stretch of State Highway 130 in Austin that sports an 85 mph speed limit, the fastest in the country, technically defaulted on its debt in July, according to Moody’s Investors Service. Eckels, a former chairman of Houston’s Harris County Toll Road Authority, is circumspect when it comes to discussing the cost of the Houston-Dallas connection. Officials originally said they planned to raise $10 billion in private investment but have since backed away from that figure. “Even slight modifications to the alignment can result in significant cost savings or cost increases, so the final project cost is difficult to estimate at this phase,” Texas Central spokeswoman Sophia Reza said. While Texas Central isn’t planning to take any public subsidies, the company is not ruling out federal tax-exempt financing opportunities available to other large infrastructure projects. Reza said the company may also receive support from the Japan Bank for International Cooperation, a state-owned entity in that country that, like the Export-Import Bank in the U.S., helps provide financing for projects that encourage exports. Reza declined to say how much the company expects to raise for the project by selling bonds to private investors. Despite the reticence to put a price on the rail line, company officials say they expect to be solvent quickly. Texas Central aims to earn back its investment through ticket revenue, charging passengers for amenities and transit-oriented development around its stations. “All of our financial modeling is that this project will begin covering maintenance and operation [costs] from day one and will very soon start covering debt service,” Eckels said. He has said that taking federal money would mire the project in additional regulation and bureaucracy, slowing progress. Richard Arena, a transportation and infrastructure consultant who sits on the board of the U.S. High Speed Rail Association, said he believes Texas Central’s project could become the first truly high-speed rail system in the country, but he has concerns about the project’s financing. In particular, he’s not clear how the Dallas-Houston line will manage to earn enough revenue to pay off the interest on the billions of dollars’ worth of bonds that will likely have to be issued to fund the construction. Such financial challenges are why some public subsidies are the norm for public rail systems, he said. “I still have skepticism of where the funding is going to come long-term,” Arena said. Meeting financial goals will be far more critical for Texas Central than for Amtrak, for example, which can subsidize money-losing routes across the country with revenue from its most profitable Northeast Corridor lines and turn to Congress for an infusion of taxpayer dollars in case of emergency. There will be none of that wiggle room in Texas, where the state’s Republican leadership has shown very little interest in supporting rail projects. “The best words you said there were privately funded,” U.S. Sen. Ted Cruz, R-Texas, said recently when asked about the project. “When it comes to privately funded, I believe that citizens in the private sector are a lot better at deciding how to allocate their capital, how to assess the costs and benefits, than is the federal government. The resistance to public financing is widespread enough that a plank in the Texas Republican Party’s 2014 platform specifically rejects using gas tax revenue to support “mass transit, rail and bicycle paths,” or anything else that is not highway construction. No lawmakers publicly challenged Williams on the provision. While Texas Central knows where it won’t get the money for its train lines, it's less clear where it will get the needed backing. Texas Central Railway says it intends to raise most of the money in the U.S., but so far, its ability to draw the billions of dollars in investment is merely speculative. The experience of All Aboard Florida could be instructive. The company is in the process of cutting a number of land deals with various levels of government for stations and transit-oriented developments around them, and has won a commitment from the state to build its terminal at Orlando International Airport. The Texas project is expected to follow a similar approach to development, though company officials have already nixed the idea of developing stations at airports. Just recently, All Aboard Florida took its biggest step yet to realizing its passenger project, one that Texas Central will eventually have to emulate: It sold $405 million in debt to private investors to finance the initial South Florida leg, from Miami to Fort Lauderdale. All Aboard Florida offered investors a 12 percent annual return on the five-year bonds. The high-yield offering sold quickly, surprising observers who predicted investors would be scared off by the fact that All Aboard will have no cash flow until the railway is operating, which won’t be for at least another two years. But while the success of the sale could bode well for Texas Central, the projects could also be received very differently. In its coverage of the All Aboard bond sale, Reuters reported that private investors were attracted to the project in part because it involves repurposing and expanding an existing freight railway and doesn’t require as much higher-risk, ground-up construction as the Texas project. Another draw for investors, Reuters reported, was the possibility of government financing down the line, again something that the Texas project doesn’t offer. This is not the first time a private firm has attempted to build a high-speed rail line in Texas. Back in the late 1980s, two European-backed firms were competing to win a state franchise to connect the so-called Texas triangle of Houston, Dallas, Austin and San Antonio. Dallas-based Southwest Airlines waged an aggressive campaign against the awarding of the franchise, arguing that it would force the carrier to severely scale back its operations in Texas. State officials ultimately granted French-backed Texas TGV a franchise, only to see the company give up on the project after failing to come up with enough capital. This time around, Southwest Airlines has said it is neutral on the Texas Central Railway project. Eckels and airline industry experts have predicted that the airline will maintain its neutrality, as Southwest has diversified its business enough that it would not likely view a high-speed rail project as a threat to its business. While Texas Central’s project has drawn plenty of attention and some endorsements, most public officials and members of the public are reserving judgment until more details come out. In June, the Federal Railroad Administration launched an environmental impact study of the project. That is likely to include a series of public meetings later this year or early next year to field questions and concerns. Peter LeCody, president of Texas Rail Advocates, an advocacy group, said those hearings will likely draw some of the most intense interest from farmers and other property owners who could be affected by the rail line. He expressed optimism that Texas Central officials can allay the project’s critics and meet its goal of shuttling passengers between Dallas and Houston by 2021. He predicted that if that happens, high-speed rail projects in other parts of Texas and around the country would see a burst of momentum. This story was produced in partnership with Next City, a nonprofit organization that covers development in metropolitan regions. Disclosure: This story is part of NextCity's Forefront series, which is supported by the Ford Foundation, a major donor to The Texas Tribune. Southwest Airlines is a corporate sponsor of the Tribune. A complete list of Texas Tribune donors and sponsors can be viewed here. Correction: An earlier version of this article incorrectly stated the number of riders in the Tokyo-to-Nagoya line of the Shinkansen system in Japan.